Look like an alluring Vampire queen when you wear our gorgeous Full Length Hooded Cape Halloween accessory. 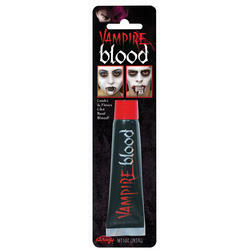 The vampire accessory features one blood red coloured full length cap with attached hood and tie up detailing underneth the chin. Available in one size which should fit most. Add this cape to a Vampire or Dracula costume for the perfect Halloween fancy dress outfit. Or dress up as Little Red Riding Hood for your next Fairytale costume party.